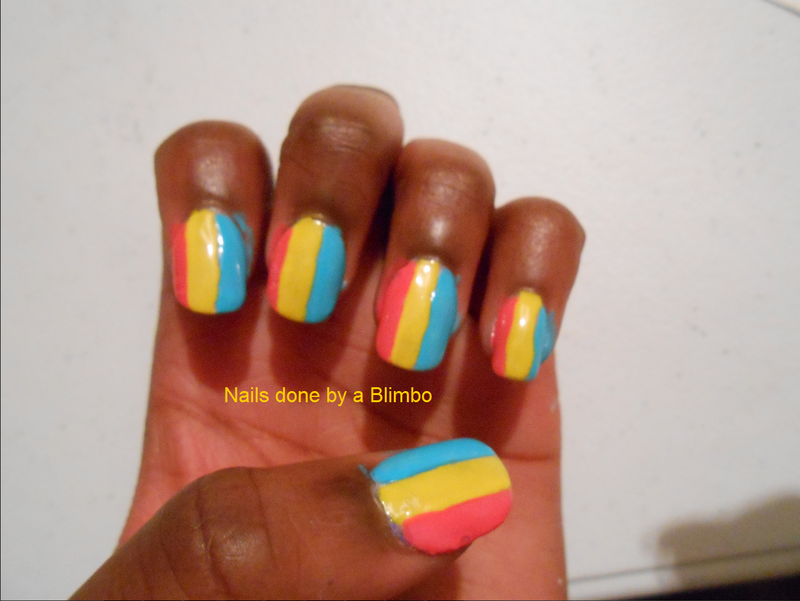 I don’t know what happen, but I felt a strong urge to do some rainbows on my nails. 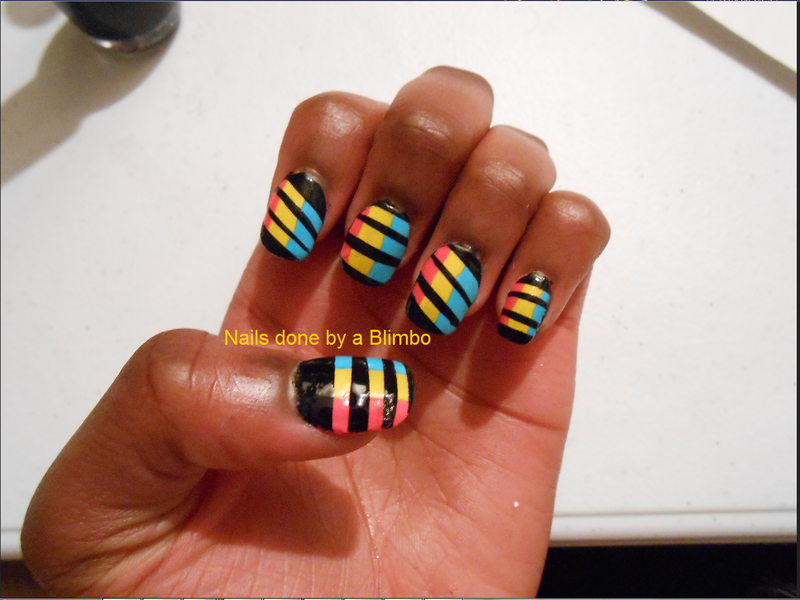 I didn’t want to do the same thing over and over so I did different rainbow themes on each nails. 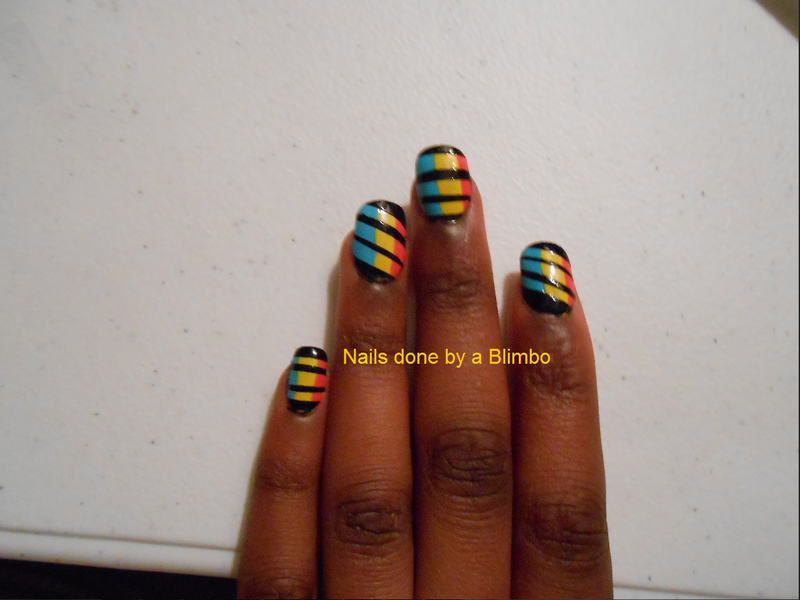 My favorite nails are my thumb with the gems and my ring finger with the tape mani. So I am a day behind and posting this kinda late. I got my idea from the cell phone game free flow. It is uber addicting game. The point of the game is to connect one color dot to another without crossing lines(colors) and filling in all the black squares. Happy lazy sunday all! First I want to thank Eeeek! Nail Polish! 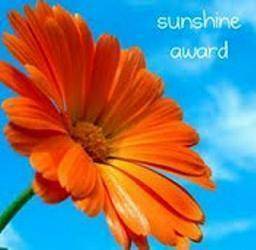 for nominating me for the sunshine award. I’m shocked at the nomination as she is so good at it and I still a newb. I’m not going to fill out a questionair as I filled it out the first time I was nominated but I would like to shout out the people I have not mentioned before and to resend to the person that gave it to me. First I painted 3 different colors on my nail vertically. 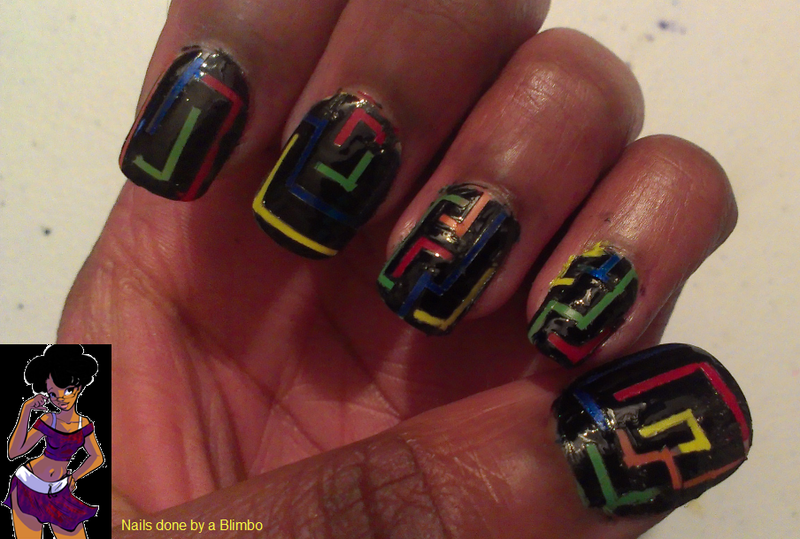 Next I cut out strips of scotch tape and covered my nails diagonally and horizontally. I followed up with a coat of Sinful Colors Black on Black. While the nail polish was still wet I pulled off the tap and Bam! this is what happens. I love that it kind of has a retro look to it.